The Vikings are hurt at the wide receiver position and that has left QB Teddy Bridgewater looking for a new favorite target. Diggs is slowly becoming that target. He has over 200 yards receiving the last 2 games and looks to continue building rapport with Teddy against the Lions. I see a coming out party soon for this kid. Could very well be this week. Pencil him in for 18 points against the Lions. QB Philip Rivers is tearing up the NFL in passing yards. He has over 2,000 yards passing in only 6 games! Because Rivers throws so much, there are going to be plenty of opportunities for the WR corps to get theirs. I expect Floyd to have a big day against the Raiders defense. Especially, if #1 SD receiver Keenan Allen is out or not 100%. Mark it! Floyd grabs 20 points this week against the Raiders. 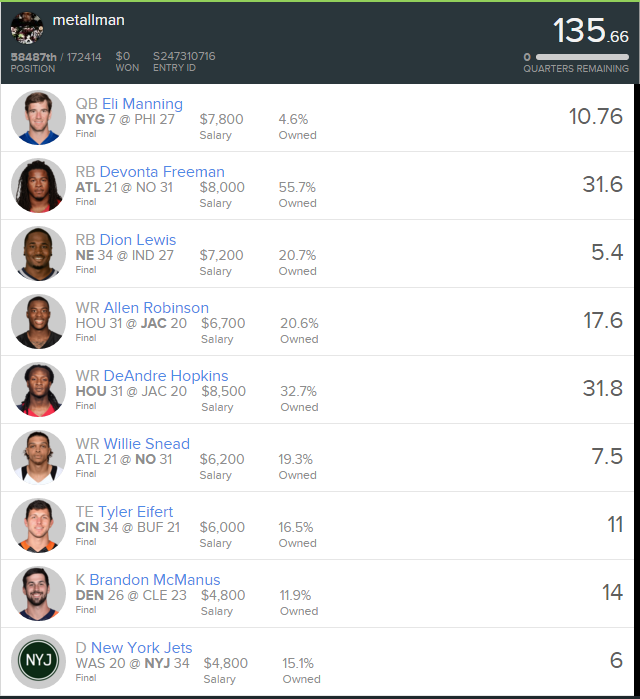 The second week in a row that I'm featuring a Browns player on this list. QB Josh McCown is definitely letting it fly and if TE Barnidge is not catching balls, Benjamin is. Look for Benjamin to break down the seams for a long ball or two against the Rams. Benjamin snatches 18 points against the Rams. John Brown is questionable for Monday nights game against the Ravens so keep an eye on his availability. But if Brown does play, look for he and Fitzgerald to cut up that ugly Ravens secondary. QB Carson Palmer has looked real good against suspect defenses and Ravens are going to see first hand just how quickly things can get ugly. Browns slices up 19 points against the Ravens. So there are a few value picks that you may want to consider. 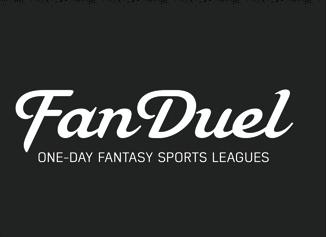 There are many Fantasy Football websites out there but I really like FanDuel the most. If you haven't signed up, do so here. Good luck friends! Hope we all are a little richer when we catch up next week! Later!